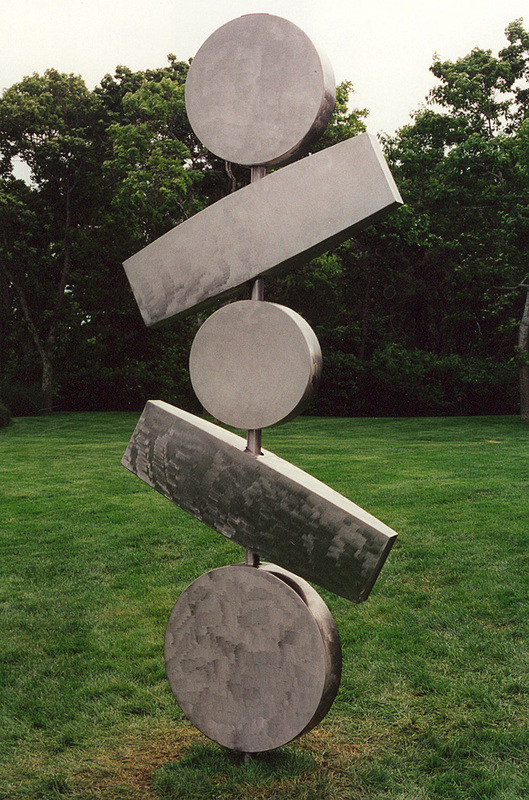 Five shapes rotate around a vertical column by the force of the wind. Each shape is supported by an internal cable, causing it to “wind up” in one direction and then recoil. 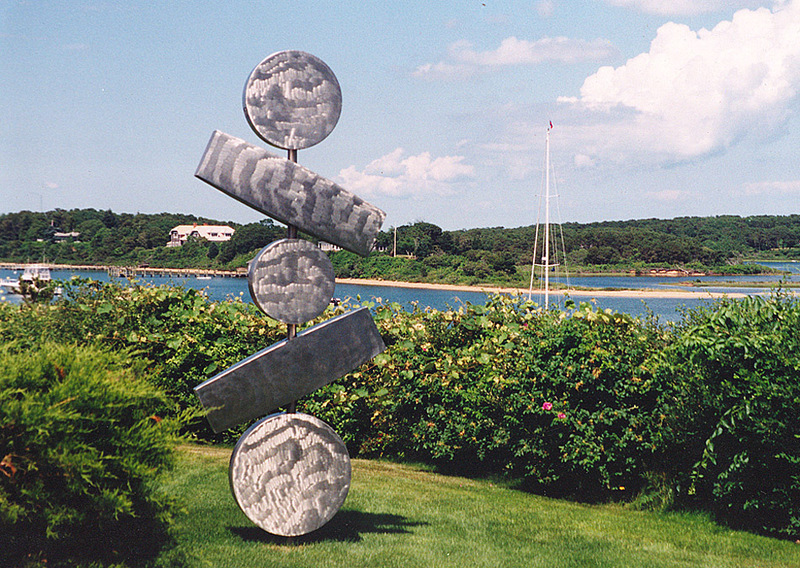 Created for private residence, Edgartown, Massachusetts.